Welcome to the final week of 25 Research Things @ Huddersfield! Yes, you’re nearly there! A bit of a different exercise this week as there’s nothing for you to discover, but we want to learn from you. 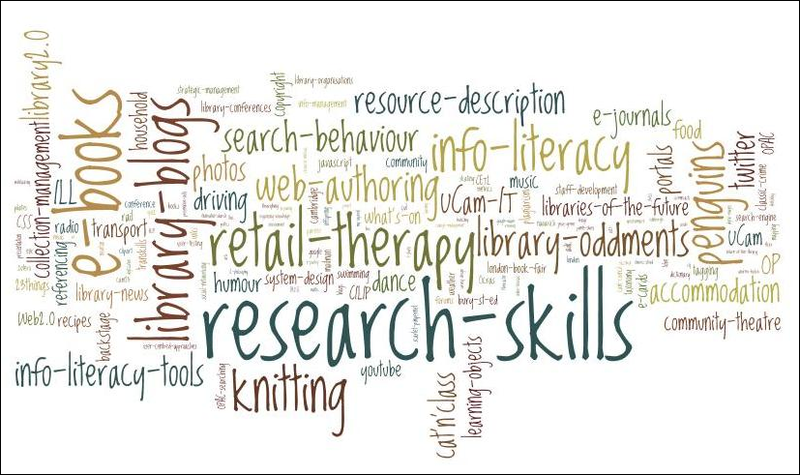 Spend some time writing your blog to summarise what you think you have learnt during the 25 Research Things programme. Tell us what you have enjoyed most and what least and what you think you might carry on using, if anything. Will any of the Things be useful in your research and work? Let us know. Is there another Thing that you’ve heard about and would have liked us to include? If you’ve made it this far, then we’d like you to take another survey so we can see how much you’ve learnt over the course of the programme. Well done for making it all the way to the end!!! YouTube is probably the biggest and most well known of the online video sites. We are sure we probably don’t need to explain any more about YouTube, but just in case, read the entry in Wikipedia. So what has this got to do with research? Go to YouTube and do some searching to see what is out there. Blog about what you have found. Try placing the video inside your blog by copying and pasting the code in the embed box, you’ll find this below and to the right of the actual video clip. Note: Videos, like music downloads are bandwidth hogs. It is recommended that you complete this exercise on the University network unless you have broadband at home. Happy Christmas from the 25 Things Team! We have designated the next two weeks, ‘Play Weeks’ for all 25 Thingers. We hope this will give you chance to catch up if you need to, but we also have two things to keep you busy! We have two options for you this week both JISC funded projects. You can either check out myExperiment.org if you are science, technology or social science based, or arts-humanities.net if your research is in these areas. You may want to look at both! The myExperiment Virtual Research Environment was launched in November 2007 and is brought to you by the Universities of Southampton, Manchester and Oxford. It enables researchers to share digital items associated with your research, in particular it enables you to share and execute scientific workflows. It is used by 3,000 members ranging from life sciences and chemistry to social statistics and music information retrieval. Have a look around the myExperiment site, you can register and search for groups or people in your research area. Blog about what you found, will you use this for your research? Will you create your own group? Another project, this time supported by the JISC, the Arts and Humanities Funding Council and Kings College, arts-humanities.net supports research in the supports and advances the use and understanding of digital tools and methods for research and teaching in the arts and humanities. Have a look around the arts-humanities.net site. Anyone can join, as a member you are encouraged to contribute information about your projects, tools and research, to publicise events and conferences, and to take part in and set up discussion forums register and search for groups or people in your research area. You either love it or loath it, but we admit that we use it all the time! Wikipedia is often the first place people look for information. Search Wikipedia for a research topic that interests you. Write about it in your blog; is it accurate, does Wikipedia flag it as not citing any references or sources? Be sure to click on the discussion tab on the article to see what people are saying about it. If you have found an entry that does not cite any references or sources, why not create an account with Wikipedia and improve the entry using your research knowledge. Or why not write your own entry? Don’t forget to blog about it! Photo sharing websites have been around since the 1990s, but it took a small startup site called Flickr to catapult the idea of “sharing” into a full blown online community. Flickr has become the fastest growing photo sharing site on the web and it was one of the first websites to use keyword “tags” to create associations and connections between photos and users of the site. To date, over 5 billion images have been uploaded to the Flickr site! For this Thing, you’ll take a good look at Flickr and discover what this site has to offer. Find out how tags work, what groups are, and all the cool things that people are using Flickr for. Take a good look around Flickr and look for an interesting image that you want to blog about. It might be a picture of somewhere you’ve gone on holiday or maybe a photograph taken near where you live. Be sure to include either a link to the image or, if you create a Flickr account, you can use Flickr’s blogging tool to add the image in your post. When looking at images on Flickr, check to see if the image has a list of tags — these are keywords or labels which help you find images. For example, here are all the images that have been tagged with the word huddersfield. Another option you have for including images in your post is to use the WordPress photo upload tool. So go ahead, explore the site and have some Flickr photo fun and if you’re interested in looking at some photo hosting sites, then why not check out this story on the Wired website. Flickr currently has over 3 billion images, so we’re sure they won’t mind if you add a few more! Create a Free account in Flickr (you will be able to use your Yahoo account, created in Week 1) and use a digital camera or mobile phone to capture a few pictures of something interesting. Upload these to your Flickr account and tag at least one of the images “25researchthings” and mark it public. Next, create a post in your blog about your photo and experience. Be sure to include the image in your post. Once you have a Flickr account, you have two options for doing this: through Flickr’s blogging tool or using the WordPress photo upload feature. If you don’t have access to a digital camera, then browse through some of the pictures from The Commons, download one of them, and then upload the picture to Flickr. The Commons is a collection of copyright free images from museum and library image archives. A quick word about photo posting etiquette! When posting identifiable photos of other people (especially children) is it advisable to get the person’s permission before posting their photo in a publicly accessible place like Flickr. Never upload pictures that weren’t taken by you (unless you have the photographer’s consent or the image is in the Public Domain) and always give credit when you include photos taken by someone else in your blog. For further information about UK photography rights, see this blog post which includes a guide written by Linda Macpherson (lecturer in law at Heriot Watt University). Traditional copyright is very restrictive and limits what you can do with someone else’s creation. A number of alternative licensing models have appeared in recent years which allow you to share your photographs more freely. Last week we looked at the Creative Commons (CC) license . Use the Advanced Search tool on Flickr to locate a photograph that has been released under a CC license. Think about what benefits a photographer might get from using the CC license. One of the benefits you might have thought of is that using a CC license allows other people to play around with the image and perhaps combine it with other stuff — this is sometimes referred to as a “mashup”. retrievr – find an image by drawing it! Discover more mashups, web applications, and Flickr tools. Explore some of the fun Flickr mashups and 3rd party tools that are out there. Then create a blog post about one that intrigues you. Often adding the image you created to your blog is as simple as copying and pasting code that the page provides. If not, you may just need to right click on the image and then save it to your hard drive before using the blog image button to add it to your post. If you’re having difficulty getting your image added to a post in your blog, ask a colleague for help or email the team. Have a play around with some of the image generators we’ve linked to and maybe see if you can find some more via Google. SlideShare, launched in 2006, does for PowerPoint presentations what YouTube did for videos. The site, which gets an estimated 12 million unique visitors per month, allows you to share PowerPoint, PDF, Keynote and OpenOffice presentations. Adding your presentations to a site like SlideShare allows others to easily find them and is a great way of forging new contacts. Prezi, which officially launched in 2009, provides a different approach to developing a presentating – rather than using multiple individual slides, you use a single canvas. Prezi allows you to zoom around the canvas from item to item. To get an idea of how Prezi looks, view this presentation by Adam Somlai-Fischer: “Why should you move beyond slides?”. Once the page has loaded, use the large arrow to move forward through the presentation. You might like to see if you can figure out how to make the presentation play automatically. Search SlideShare and Prezi and looks for some presentations relevant to your interests of areas of research. If you find a particularly useful presentation, write a short blog post about it. Do you prefer the more traditional style of PowerPoint presentations or do you like the more dynamic Prezi style? So, what happens if you are working on a collaboration with colleagues from different universities, or even the commercial sector? If you have a document you are all contributing to, how do you know which version 2.1 is the correct one! Where do you store the master copy? Google Docs may be just the thing for you! Using the username and password for your Google account (the one you created in Week 1) log on to Google Docs. Click on the ‘Create New’ button beneath the Google Docs logo and then decide whether you’re going to create a document, spreadsheet, presentation or drawing. Depending on your choice, you’ll now be in a word-processing, spreadsheet, presentation or drawing area. Enter text or data as appropriate and use the formatting toolbar to format your work. N.B. Detailed support pages are available from Google. When you have finished creating your masterpiece, click on ‘File’ and then ‘Save’. Now share your work with another 25 Thinger. Click on the ‘Share’ button in the top right hand corner of the screen and then select ‘Sharing settings’. Enter the e-mail address of the person you would like to share this item with in the ‘Add people’ box and decide whether you’re going to allow them to edit or simply view it. This person will then receive an e-mail containing a direct link to the item. After coming up with the idea for 25 Research Things @ Huddersfield on Twitter, we used Google Docs to plan, write and share the original outlines of this course! Next week we are going to look at images, but before we do, ever wondered about who owns the copyright of images on Flickr etc.? Ever wondered what the Creative Commons licence is on this blog? Creative Commons has released several copyright-licenses which allow creators on content to communicate which rights they reserve, and which rights they waive for the benefit of recipients or other creators. Visit to the Creative Commons pages to learn more about sharing, remixing, and using creative works. Visit the Creative Commons pages and assign your Blog a CC licence. You can download the logo, type of licence and link to appear in the blog. You will also find Creative Commons licences appearing as an alternative to ‘copyright transfer’ for academic journal publishing. Open access publishers such as Biomed Central and journals in the Directory of Open Access Journals use Creative Commons licences to allow authors to share and remix their work. The University Repository also gives you the option to assign a Creative Commons licence to your work. Blog about your thoughts on using a Creative Commons for you research? Who should own the copyright to your research? Would your research benefit from a Creative Commons licence, rather than a publishers “copyright transfer agreement”? This week, we’re focusing on social networks. These are websites which allow you to keep track of and interact with people. Some are very simple indeed; others are more complicated. Facebook is the most famous, but we’re going to look at some that are perhaps less widely-known, but very useful for researchers. Twitter (n) ‘a short burst of inconsequential information’. The site founders read this dictionary definition, and decided that it pretty much summed up what their microblogging service offered to users. However, as of April 2010, 100 million people worldwide were using Twitter to share their thoughts about current affairs, celebrities and – inevitably – cats. So there must be something in it. Take a look at this short video to learn more. This week, if you’re not already on Twitter, we’d like you to sign up and start using the service. If you are on Twitter, we’d like you to blog about your experiences to date. Go to the Twitter home page and create an account for yourself. Search for someone or something to “follow”. If you have any friends that you know are already using Twitter, search for them and click on the “Follow” button. Otherwise, search for “bbc” and follow one or more of their Twitter feeds. Or why not try to find your research council – most of them now have official Twitter feeds as well. Over the next few days, try to remember to occasionally update your Twitter status. We are not the only ones to have spotted the link between conferences and Twitter. Some clever developers have created a Twitter application which allows you to share the conferences you’re attending, and see where the people you follow are going to be as well. It’s still in its early stages, but Lanyrd is an interesting model and we think it’s worth your while to take a look around. Go the Lanyrd home page and sign in using your Twitter ID. Take a look around and see what conferences are happening, and maybe think about adding one that you’re attending. One of the big challenges when using social networks is keeping a distinction between your personal and professional lives. While it’s great to have another way of keeping in touch with your work contacts, you don’t necessarily want those people to have access to your holiday photos! LinkedIn draws a very clear line between the two. It’s a social network that’s designed specifically for professionals, and most of its members are there for work-related reasons. The basic premise is that you, the member, are at the centre of an ever-expanding social network. There are people that you know (your direct connections). Then, there are people that your direct connections know (your second-degree connections). And there are the people that your second-degree connections know (your third-degree connections). LinkedIn thinks that, when it comes to solving work-related problems, staying up-to-date in your sector or finding a job, the people that are a degree or two removed from you are just as helpful as the people you already know. So it provides a way for you to see and connect with those people. Watch this short video for a bit more detail. So the final Thing we’d like you to do this week is to experiment with LinkedIn. Go to the LinkedIn home page and sign up to create an account. Search for people you know. Add them as contacts. See if they know anyone else who could be useful to you, and consider asking for an introduction. Also, look and see if there are any groups you could join – starter for ten; if you search for Huddersfield you’ll find the university alumni group. Don’t forget to blog about your experiences with social networks this week. Have you made any new connections? Learned anything new? Will you stay a member of these networks after 25 Things finishes? Last week we looked at Technorati and the blogosphere, this week we’ll spend a bit more time looking at tagging. Tagging is an open and informal method of categorising things that allows users to associate keywords with online content (webpages, pictures & blog posts). Tagging is designed to be both personal – you choose which tags you want to use – and collaborative – others can see the tags you’ve assigned, and can choose to follow you in using them. You may find this idea inspiring or think it is opening the door to anarchy, however, tagging is perhaps one of the defining elements of web 2.0′s user-generated content, and it’s not going to go away. Look back on your blog posts and organise them by adding more tags. This can be as formal or as fun, as workmanlike or as personal, as you like – you decide how you want to present your information! Blog about whether you think this is order or anarchy. In addition to having an excellent name (yes, that’s a real URL – the .us at the end stands for United States), Del.icio.us is a social bookmarking site that lets you save bookmarks to a central location (no more copying them to multiple browsers on multiple computers) by allowing you to attach as many tags as you like to each website you save, so that you have as many access points as you want. Del.icio.us is a great way to keep tabs on websites that you or your colleagues might find useful, and it’s also excellent for seeing what sites others find valuable. Everything on Del.icio.us is there because someone has thought it’s worth saving; it can be nice having a human filter for the endless stream of web information! Now create a Del.icio.us account for yourself and discover how this useful bookmarking tool can replace your traditional browser bookmark list. Is tagging a good idea? Create a blog post containing your thoughts. You’ll be doing more with tags in some later Things, particularly Flickr. As a researcher you will soon build up a collection of your own books. But are they hidden away on a shelf somewhere? Or left in a box? Do you enjoy finding lost and forgotten gems on the shelf to read? Then LibraryThing may be just the tool for you. Developed for booklovers, this online tool not only allows you to create an online catalogue of your own, it also connects you to other people who have similar libraries and reading tastes. Add a book to your catalogue by just entering the title and find other users who share your reading tastes. There are lots of ways to use LibraryThing. You can even view your books on a virtual shelf, add a widget to display titles that are in your catalogue. So why not create your own library online. With over 1,000,000 users and 50 million books catalogued, you’re bound to discover something new. Add a least 5 books to your library. Blog about your findings and be sure to link to your LibraryThing catalogue. How popular were your books? Did you find any discussions about your favourites? Cited in the Guardian as ‘most likely to change the world for the better’ in July 2010, Mendeley is a free reference manager and academic social network founded in 2007 in London. It combines Mendeley Desktop, a PDF and reference management application (available for Windows, Mac and Linux) with Mendeley Web, an online social network for researchers. What I like best about Mendeley is being able to see what other researchers are reading at the moment. It helps to keep track of trends but also get new ideas and find new connections of bodies of knowledge. It allows me to add and manage references that I regularly refer to, such as books, newspaper articles, journal articles, web pages and even films. Managing means I can group references around a certain topic and also add notes and tags. All of this usually takes time but there also is a ‘web importer’ button that allows to easily add an item found on the web. Extremely helpful is also the instant conversion of citation styles which can be a tedious and time consuming business, such as manually converting from “Chicago” to “Harvard” style. Take a look around Mendeley and create an account. Take a look at the research papers in Mendeley by searching for your research interest and see if there are any groups out there that you might be interested in joining, or why not create your own group! Blog about what you think to Mendeley. Did you find some interesting research? Have you made contact with any members? You may wish to download Mendeley to your desktop, although you will need admin permissions to do this on your PC in the university. Don’t worry Mendeley works just fine from the web. CiteULike, is a free service for managing and discovering scholarly references. It is sponsored by the publisher Springer although founded when its originator was attached to the University of Manchester in 2004. Take a look at the article, Citeulike: A Researcher’s Social Bookmarking Service, in the open access journal Ariadne. Try searching for your research interests (or even your research!) and see what comes up. If you like what you see, why not register and start tagging your own results? Here’s a video clip to introduce using CiteULike and RSS feeds to filter through articles quickly. So what did you think of tagging? We realise that there is a lot to take in this week, but we hope there is something out there for you. Will you be using any of the things you discovered this week to help you organise your research? Don’t forget to blog your thoughts and tell us which method you prefer, or do you use something else? So, now you have a blog. So do all the other 25-Thing-ers at Huddersfield. But how many other people are using the internet to share their thoughts, experiences and stories about cats? How big, in short, is the blogosphere? Well according to Technorati, the leading search tool and authority for blogs, by June 2008, there were over 112 million blogs currently being tracked by the site. Yes, big numbers. But, as you’ve already seen for yourselves, blogging is so easy that almost every industry has been trying to find ways to make blogging work for them. That’s why, this week, we’re going to look more closely at Technorati. Do you want to make sure your blog is being tracked? Register your blog with Technorati. Do you want to tag your posts to make them easier to find through a Technorati search? If you owned a business and were trying to attract attention you’d register it with Technorati. If you want other people to be able to find you and your blog, this is a great way to start. Take a look at Technorati and try doing a keyword search for “Huddersfield” in Blog posts, in tags and in the Blog Directory. Are the results different? Explore popular blogs and tags. Is anything interesting or surprising in your results? In the same way that spam emails are a big problem, the same is happening with blogs — when you use Technorati or Google Blog Search, chances are that some of the results will be spam blogs (also known as “splogs”!). They’re not too difficult to spot, as the blog post text is usually gibberish along with lots of links to buy Viagra. If you’re up for another challenge, learn how to tag your posts with tags so they can join tag searches. The WordPress FAQ pages also have a section on how to add tags to your blog posts. We’ll be looking at tagging in more detail next week, so you might want to come back to this one. So now you’ve explored Technorati, you know that the blogosphere is pretty big, and probably contains quite a bit that you might find interesting. And on top of that there are all the other websites that you currently visit every day for news and views. And they’re all being updated, all the time. How on earth do you keep on top of the information overload? Well, fear not, because this little orange button is about to make life a whole lot easier for you. It’s called an RSS feed, and it’s changing the way that web content creators share information, and web content users consume it. RSS stands for “Really Simple Syndication” and is a file format for delivering regularly updated information over the web. Alongside a good newsreader, this tool will bring all your favourite information sources and web pages together in just one place and all at the same time…without being bombarded with advertising… without having to search for new information on the page you’d already seen or read before… and without having to consume a lot of time visiting each site individually. A newsreader is basically a tool which allows you to display content from lots of websites in one place. It can be a piece of software which you download to your desktop, or it can be web-based tool, which you can use on any computer you choose. In terms of the web-based tools, Google seems to be dominating the market with its Google Reader. There are some useful tutorials online, including the Google Reader Tour, Google Reader in Plain English and these two videos. Set up your own, personalized RSS feed reader. Learn about the difference between RSS feed readers and Google Reader. …don’t forget that this blog also has a RSS feed, so you could subscribe to that too! And why not check out your Research Council – many of them now have news feeds that can keep you updated on funding and jobs, among other things. Now that you have a newsreader (your Google Reader account), you can begin adding other newsfeeds that interest you. When visiting your favorite websites, look for RSS icons that indicate the website provides it. Often a feed icon will be displayed somewhere in the navigation bar of the site. Topix.net — This search tool allows you to locate recent newsfeed items based upon keyword or phrase searching. The tool focuses specifically on news and media outlet RSS feeds for information, not weblogs. Syndic8.com — Syndic8 is an open directory of RSS feeds that contains thousands of RSS feeds that users have submitted. Which Search tool was the easiest for you? Or what kind of unusual ones did you find? What other tools or ways did you find to locate newsfeeds? Hello, and welcome to the University of Huddersfield 25 Research Things 2010 blog! Over the course of the next few months, this blog will show you a range of tools and technologies that fall under the heading of “web 2.0″. We’ll give you exercises to help you become familiar with them, and show you how they might support your research work. Some of them you will find immediately useful, some will be fun and some you may not see the point of right away. But you will finish the course knowing a lot more about the new ways that researchers can communicate their ideas and findings, and we hope you will have enjoyed yourself as well. Start by watching this short video clip, which shows how web 2.0 tools have developed, and the ways in which they can be used: Web 2.0 … The Machine is Us/ing Us. Each week we’ll introduce a new set of “things” – 25 in total over the ten-week course. You’ll be given exercises to help you become familiar with blogging, RSS news feeds, tagging, wikis, podcasting, online applications, social networks, video and image hosting and much more. We’d like you to set aside an hour or so each week to experiment and explore. You might want to do this in several smaller chunks of time, or in one go – it’s really up to you. We also hope that you might spend some of your own time learning about the things. If you need help with any of the activities, please contact one of the team (25researchthings@gmail.com), or talk to your friends and colleagues who are also doing this course. This programme is based upon blog entries, from us and from you. During the course, you’ll need to write on your own blog about each thing you complete. You can record your thoughts and experiences, and add any ideas you might have on how to use these web 2.0 tools for yourself or your work. You can choose to use a screen name if you prefer to keep yourself anonymous. This name will be posted on your blog, but your “real identity” will not be listed. All participants will be linked to from the 25 Research Things 2010 blog but you will be anonymous if that’s what you choose. People blog because they want to share with others. They may share their opinions, rants on particular topics, or news from a holiday. They may even have a professional blog where they share views on their work, or they may have a blog all about their pet. When you’re blogging, you can adopt any persona you like. Some people have written from a cat’s perspective. Now that you’ve done some exploring around this blog and understand how the programme will work, it’s time to set up your own personal blog. We would also like you to write your very first post where you can introduce yourself, or your persona, or explain what the blog is for. Remember, your blog is where you will be recording your thoughts and experiences for the 25 Things programme. If you are not sure how much to write, we would suggest at least 100 words each week, but don’t be shy – write as much as you like! For this exercise “Set up your blog” we are using WordPress, a free online blog hosting service that is extremely easy to use. Go to the WordPress website: http://wordpress.com. Fill in the form – remember, you can use a made up name if you want. Make sure you tick the box about legal flotsam. “Gimme a blog” should be highlighted, so click “Next” and follow the instructions. Make sure you make a note of your username and password and blog address. When you get your email confirming your blog, you will be able to choose a different theme if you want to personalise your blog’s appearance – just look for the link about themes and search for one you like. Once you have registered your blog it will be listed here on the 25 Research Things 2010 blog. The participants’ blog is a good place to gain inspiration and support each other via the comments section in the individual blogs. Save your blog to your bookmarks or favourites folder so you can return to it quickly later. You’ll need to add an entry to it for each 25 Things task you complete. Click here to go to the Yahoo home page. Click on the “New here? Sign up” link and fill in the form. Make a note of your username and password. Now create a Google email address which you can use as for any other email, but also when you want to use other Google services such as Google docs. To create an account click here. We would like you to complete this short survey, to tell us a bit about where you’re starting from, and what you want to achieve from the course. Hello, and welcome to 25 Research Things 2010! If you want to know a bit more about the background of the 25 Things idea, visit this website. 25 Research Things at Huddersfield is the first time that this course has been run for researchers, so we are breaking new ground! If you’ve got any questions, you can contact us on 25researchthings@gmail.com. We’ve saved the best news until last! If you stick with us through the whole 25 Things, we’ll enter all University of Huddersfield ‘thingers’ into a free draw to win an Amazon Kindle e-book reader courtesy of the Research Information Network, so now you have no excuse! We’re looking forward to starting this journey with you and don’t forget we’ll be there right through the course to chat! The 25 Thingsters Blog Posts!